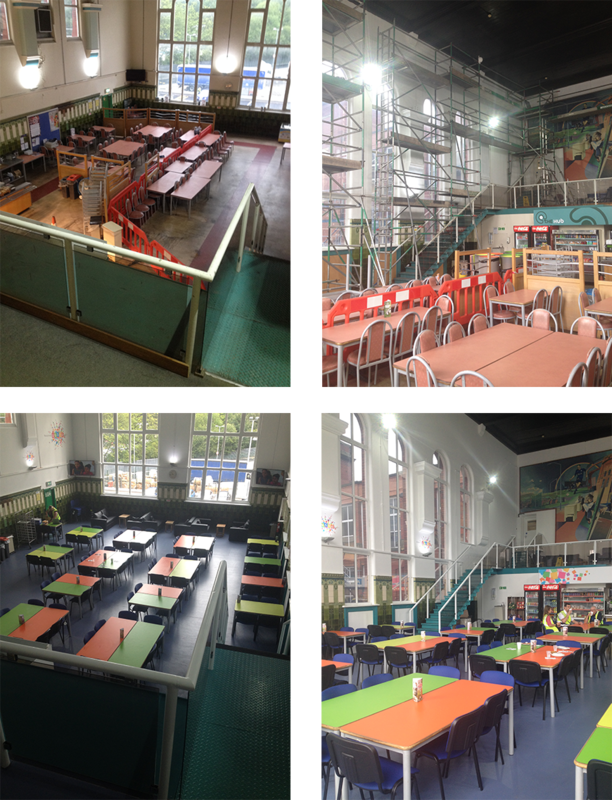 To design, programme and implement a refurbishment of the client’s main on site canteen. The canteen was looking old and worn and was in need of a makeover. To meet the client’s budget careful consideration had to be given to the specification scope and choice of materials. The work had to be planned around busy usage periods at breakfast, dinner & tea times and performed to stringent H&S stipulations. This was always not going to be straight forward due to the high usage of the main on site canteen, but with careful planning and a combination of out of hours working and communication with all concerned, the final result was achieved in the time frame set. The canteen has been given a new lease of life and the end result far surpassed the client’s expectations.